Decided to make some Peanut Butter Blossom’s today. You can use the recipe for Simple Peanut Butter Cookies. But I wanted to give my Grandma’s recipe at try, and I am glad I did! I will type out the recipe as a regular recipe but put what type of flour I used. That way my friends who do not have to be GF can enjoy as well! Mix all ingredients (except the kisses) on low speed until dough is firm. Shape into 1 inch balls and roll in sugar. Bake for 10-12 minutes. 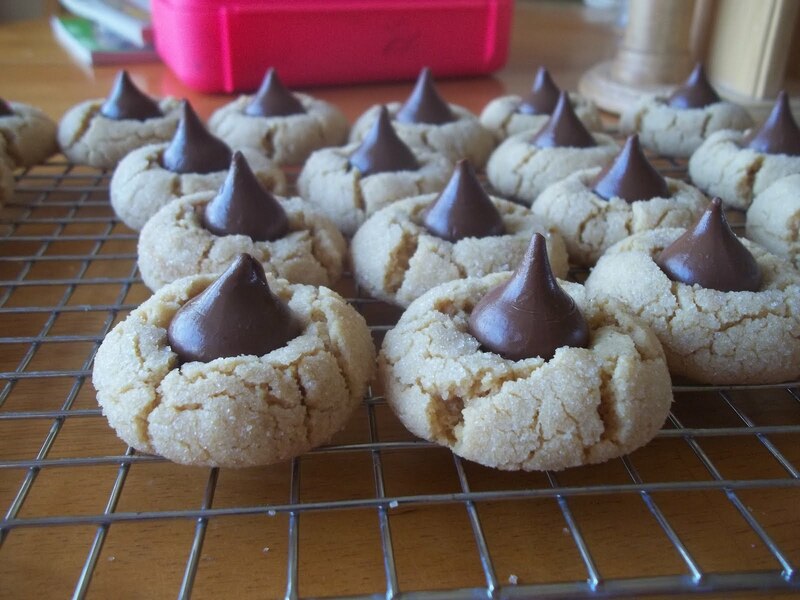 Immediately press Kisses down into cookies until edges cracks. Move to a cooling rack and let cool completely. They turned out really good and the Gluten Free flour I used did not change the taste of it. In fact— I cant keep my husband away from them! 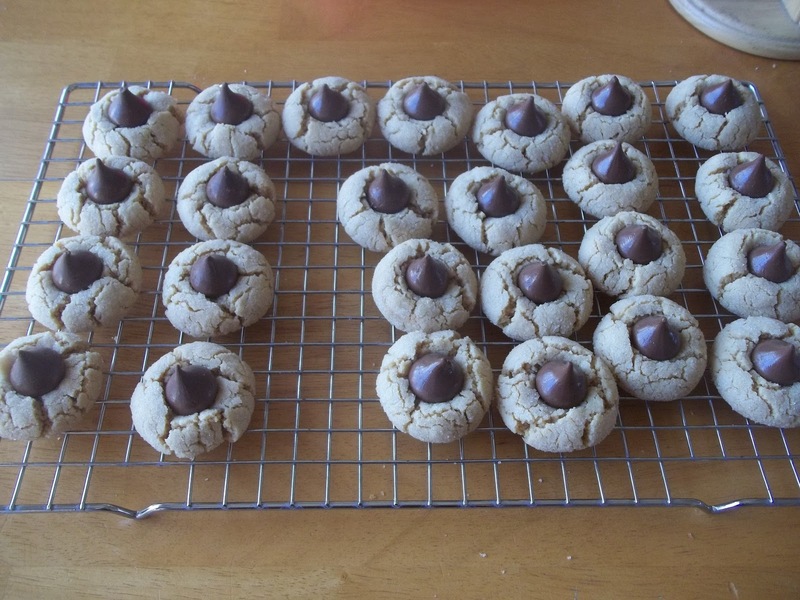 This entry was posted in Allergy Free Wednesday, cookies, Recipes, Slightly Indulgent Tuesday on December 17, 2011 by Kandi. There is something about little kisses on top of cookies that kids love, I personally love the cookie part! I have heard good things about the GF Pantry mix…thanks for sharing on Allergy Free WEDNESDAYS! I made these recently and they were a little crumbly (which I know is an issue with some GF baked goods). Do you have any suggestions to make them more moist? These look perfect! I am really going to have to try GF flour. I am sure it could not hurt to eat cleaner! Great recipe! Thank You! These are delicious, even though I use regular ol wheat flour 🙂 the recipe comes out great! Yum! We’re trying to go gluten-free, so I’m so glad you’re sharing these yummy recipes with the gluten-free alternatives! Thanks! I want to try these out with coconut oil! Will get back to you on that. Now to find some dairy free kisses or such to go on top. . . . . . These sound amazing! My husband and kids would for SURE love this! Thank you for sharing! these look so good! I’ll have to pin this to my board! I love peanut butter blossoms and can’t wait to try the gluten free version!